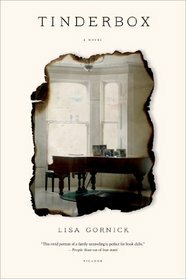 Lisa Gornick’s multi-faceted psychological study of a Manhattan family who takes in a troubled nanny from Amazonian Peru, Tinderbox, will be published in paperback by Picador on Sept. 2. Gornick holds a B.A. from Princeton, a Ph.D. in clinical psychology from Yale, and is a graduate of the writing program at N.Y.U. and the psychoanalytic training program at Columbia. This essay on the writing of Tinderbox is also being published in the September issue of The American Psychoanalyst magazine, published quarterly by the American Psychoanalytic Association, and is reprinted here with permission. Patients arrive with a presenting story behind which usually lies another more complicated and darker one, but novelists often work in reverse, beginning with fragments of material — stories heard, places visited, preoccupations — from which a more elegant narrative is shaped. While clinicians frequently struggle with whether to write about their clinical work and, if so, how to safeguard patient confidentiality and the therapeutic process itself, for the writer of imaginative work, the ethical conundrums are more easily resolved: the emotional heart of a situation can be retained while transforming everything else, largely liberating the writer from the conflict between the desire for self-expression and the fear (with its obverse wish) of hurting others or exposing something that feels too private. As Freud observes in “Creative Writers and Day Dreaming,” the “essential ars poetica”, in fact, requires the transformation of private fantasies and daydreams into something new. Without it, the work has the sticky feeling of something too near to the writer, lacking the distance that differentiates writer from narrator and lifts a situation onto a more luminous plane. Many years ago, I heard the story of a nanny who developed a powerful longing to be mothered herself by the mother of the child for whom she cared. She unraveled, creating a Gordian knot for the family as they simultaneously attempted to help her and began to fear her. Stripping away biographical details of both nanny and family, I was left with the dynamic of what happened between them, which became the kernel of Tinderbox. For several decades now, I’ve been fascinated with Werner Herzog’s film Fitzcarraldo, a chilling study of monomaniacal grandiosity, played out against the primordial verdant landscape of sky-high trees and foaming waterfalls surrounding the Amazonian city of Iquitos, Peru. Based on the true story of Isaias Fermin Fitzcarrald, Herzog’s protagonist is hell-bent on building an opera house in Iquitos, using funds he believes he can obtain by pushing a ship over a mountain to reach untapped rubber trees — and he’s willing to sacrifice everything, including the lives of the Indian men he employs, in the service of his ambition. 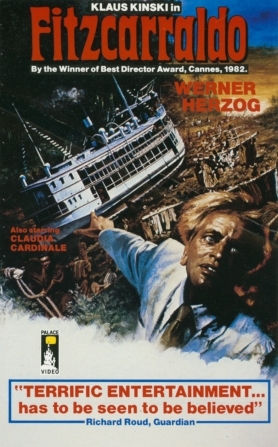 In a disturbing example of life imitating art, documentary filmmaker Les Blank in Burden of Dreams tells the story of the parallel process between Herzog, who insanely insisted on filming an actual boat dragged by an army of 700 Amazonian Indians in a dangerous pulley operation over an actual hill, and his protagonist. The nanny, now the fictive Eva, herself burdened by dreams, needed a home, and so it came to pass that I placed her in contemporary Iquitos, which I at first read and then later saw is now the largest landlocked city in the world, accessible only by air or water, no roads able to penetrate the surrounding jungle and mountains. 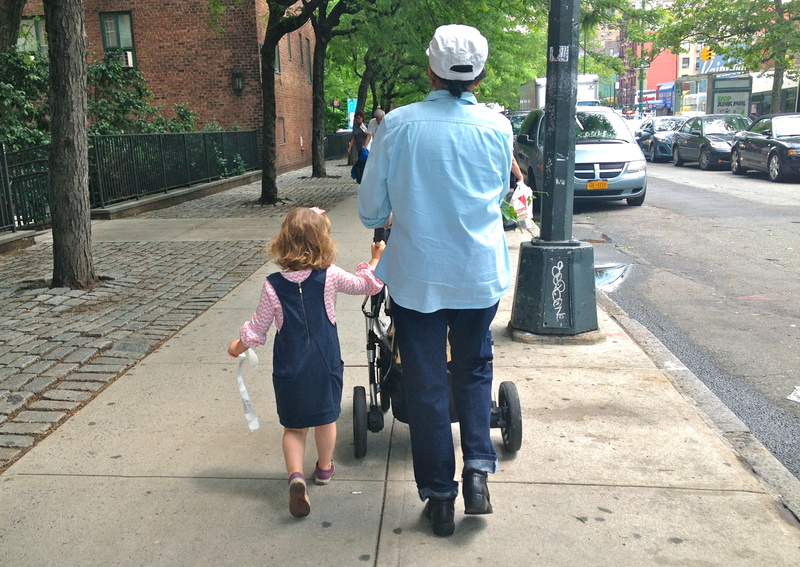 Eva has never heard about Herzog or Fitzcarraldo — the only movie she saw as a child was The Sound of Music — but novelists have the privilege of outfitting our characters with our own preoccupations, and so Adam — the father-hungry, sexually-confused, acrophobic, claustrophobic, equinophobic, screenwriter parent of the child Eva will care for when she comes to New York — inherited my fascination with Herzog’s film. And the mother of the child, who is she? A brusque Moroccan-Jewish dermatologist, Rachida, who came to the States to escape the dying Jewish community in the coastal city of Essaouira, Morococo where her parents still live. 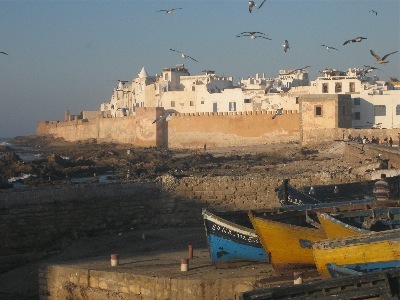 Why Essaouira? Because novels are rapacious; they love puzzles and paradoxes, and the delicate blue and white city, where I once followed a procession of crimson-robed blind musicians along the wind-swept ramparts and learned that the population 150 years before had been half Jewish, seems like a mysterious dream. In sessions, we are alert to the door that when gently pushed will open to something new. Writing a novel, too, entails discoveries: uncanny resonances, seeds planted that only later bloom. Such was the case when I stumbled upon a reference to the Jewish community of Iquitos. A Jewish community in a land-locked city in the middle of the jungle? From Fitzcarraldo, I knew about the Amazonian rubber boom, but I now learned that many of the rubber traders had been Moroccan-Jewish men, often still in their teens, fleeing limited opportunities at home. 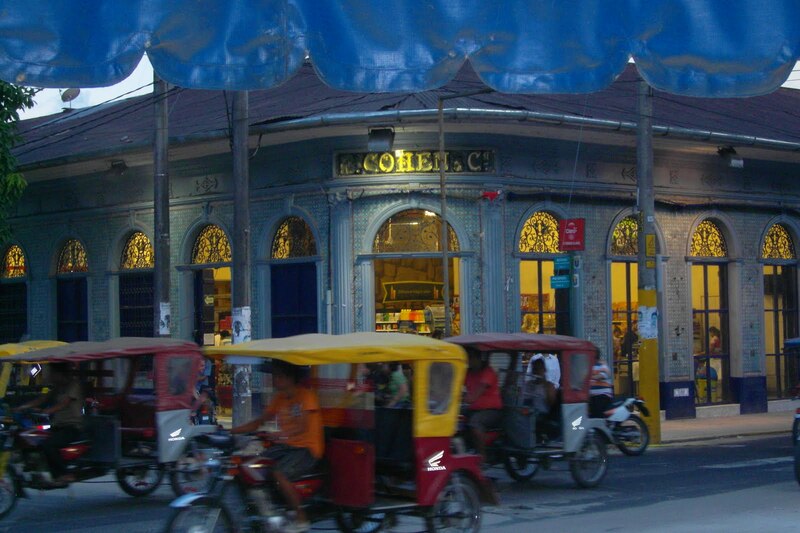 Beginning at Manaus, Brazil, they established outposts in cities along the Amazon, making their way over decades to the then village of Iquitos, where they fathered children with local Indian women and created businesses with names such as Casa Cohen and Casa Khan, whose buildings still stand more than a century later. When the rubber boom went bust at the beginning of the 20th century, the Moroccan men picked up and went home, leaving their offspring and common-law wives behind. Now, a century later, some of these descendants are seeking to reclaim their Jewish identity. And so Eva came to have a Moroccan-Jewish great-great-grandfather who was a rubber trader from Rabat, and my characters — Rachida from the mellah of Essouira and Eva, from the Peruvian Amazon — whom I’d thought of as disconnected, might, it seemed, have shared roots. During the summer of 2000, I witnessed wildfires in Montana and Idaho: the peaks of the Crazy Mountains shrouded in smoke, flames reaching the banks of the Salmon River, animals seeking refuge in the water, smokejumpers headed into the blaze. 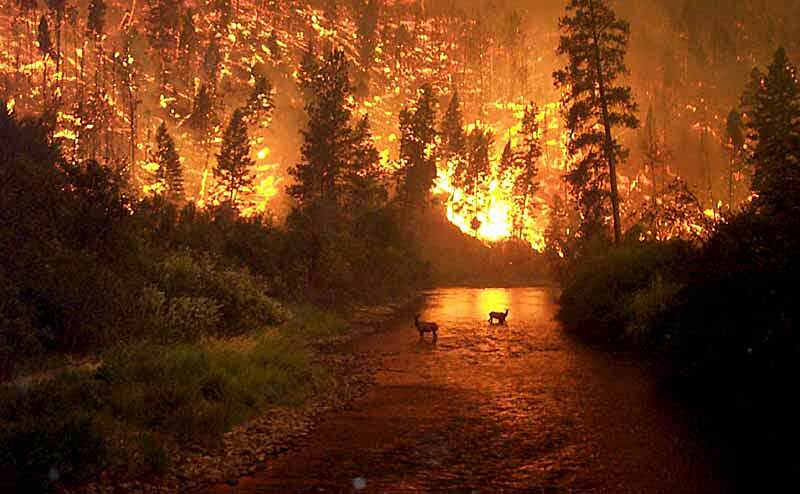 Forest fires, I was told, are usually caused by lightning strikes and are part of the natural cycle of forest regeneration. They enrich the soil and clear the underbrush, which when overgrown can ignite larger trees. The Smokey Bear policy increased the risk of catastrophic out-of-control fires by leaving intact the tinder that small fires would have eliminated — a tragedy of good intentions, a dynamic we’ve all experienced when attempts to spare someone from smaller doses of pain lay a path to greater pain. Tinderbox opens with precisely this situation. When Myra, a therapist (but not an analyst! ), learns that her son and his family are moving back to New York for a year, she responds with a mother’s heart, inviting them to share her brownstone and hiring Eva to help with the housework and her grandchild. Later, when Eva begins to tell Myra her story in a manner that feels uncomfortably like a patient’s recounting, Myra feels caught between knowing she should avoid a dual relationship with her housekeeper and grandchild’s nanny and the reality that Eva, having failed to show up for the appointments Myra has made for her with other therapists, has decided to tell her story only to Myra. To fire Eva when she is unraveling feels like kicking a dog when it’s down, but not to fire her begins to feel like a dangerous situation. Dreis sips her tea and nibbles on one of the shortbread cookies the housekeeper has brought into the library. Concerned about how sprawling my novel had become, I was comforted to read Salman Rushdie on “mongrelisation”: “Melange, hotchpotch, a bit of this and a bit of that is how newness enters the world.” Melange and hotchpotch are not too different from the way we understand the transformation of the day’s residues into something new: a dream image. For the patient in an analysis, the newness doubles when the dream is brought into the session and through the analytic work becomes again something new. And so too for the novel. It has only to be “good enough” to allow the story that ends up on the page to be sufficiently free of the story behind it so that space remains for readers to engage with the text in their own personal and creative way — for newness to reverberate as readers make the book their own.